I am guilty of spending way to much on a Mocha Frappuchino when I am out and about over the Summer. Really that is the only time I splurge on one anymore. Now that the kids are older I really don’t do it that often because they have learned what they like to order too. By the time it is said and done my purse is empty all for some drinks. 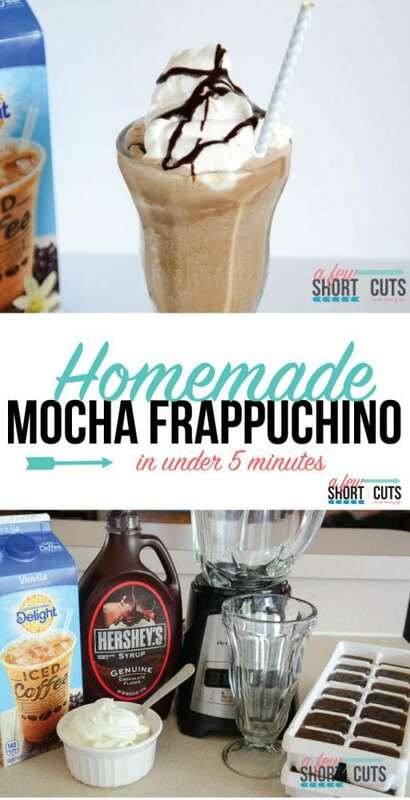 I have learned how to make my own Homemade Mocha Frappuchino for a fraction of the cost and it tastes so so so much better! My secret weapon???? International Delight Vanilla Iced Coffee. They have an International Delight Mocha Iced Coffee too. 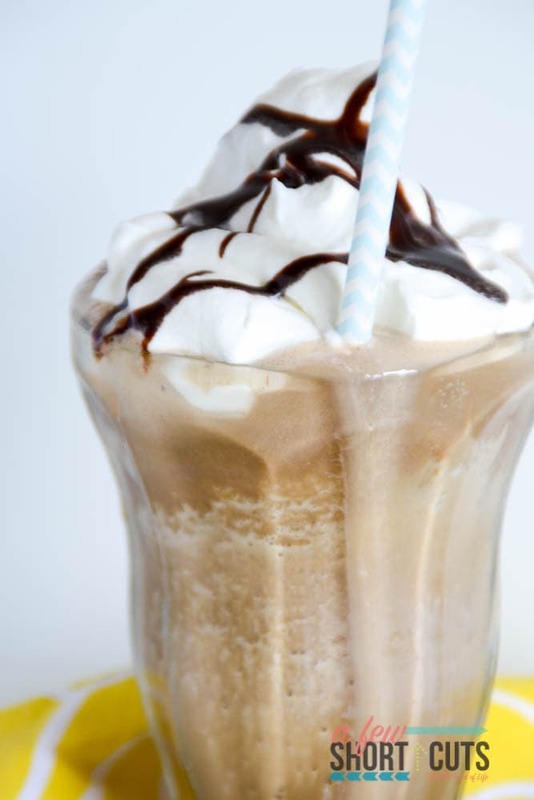 I love to steal a glass of this by itself, but it really makes this Frappuchino AMAZING! 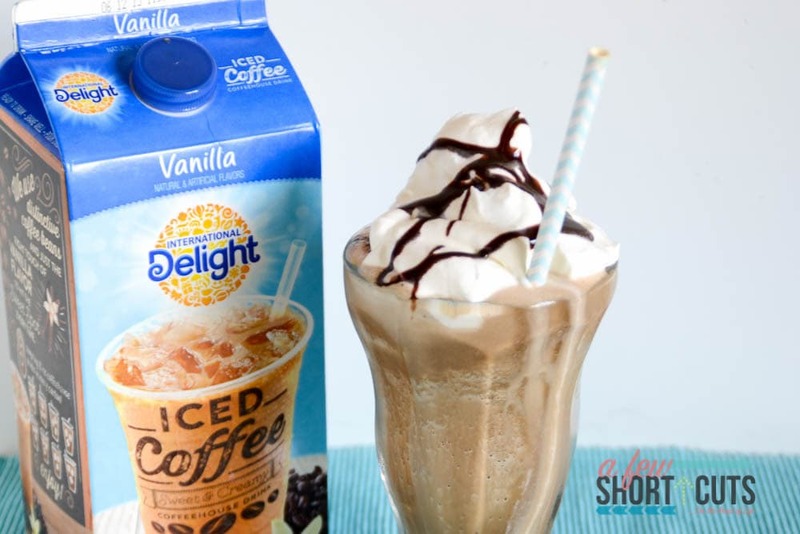 You can go now to get a coupon for your own International Delight Vanilla Iced Coffee. As soon as I buy a carton of this amazingness at the store I fill 2 ice cube trays and pop them in the freezer. That way they are ready to go when the mood strikes. 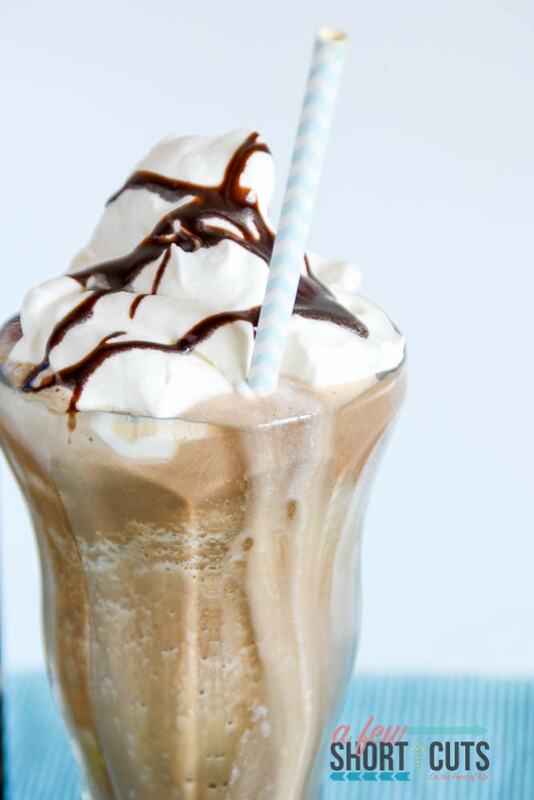 When I can steal a few minutes I pull out my Iced Coffee Ice Cubes, the carton of iced coffee, some chocolate syrup, fresh whipped cream, and the blender. One tray of the iced cubes is all it takes. Plus a squirt of chocolate syrup and about 1 cup of the International Delight Iced Coffee. Put the lid on and let it whirl. It took just a minute for this to happen. Hello darlin’! Pour it into a glass and top with whipped cream. You can get fancy and drizzle with some chocolate too. The blender actually ended up with enough for 2 Frappucchinos, or one really big one. I guess it all depends on the kind of day you are having. These are perfect when you only have 10 minutes to steal for yourself. 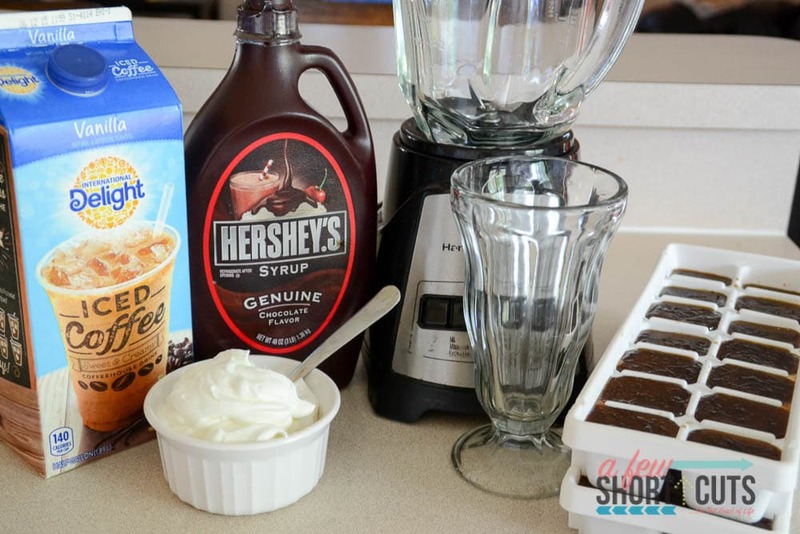 You can make your own Homemade Mocha Frappuchino faster than you can order one thanks to the International Delight Iced Coffee. 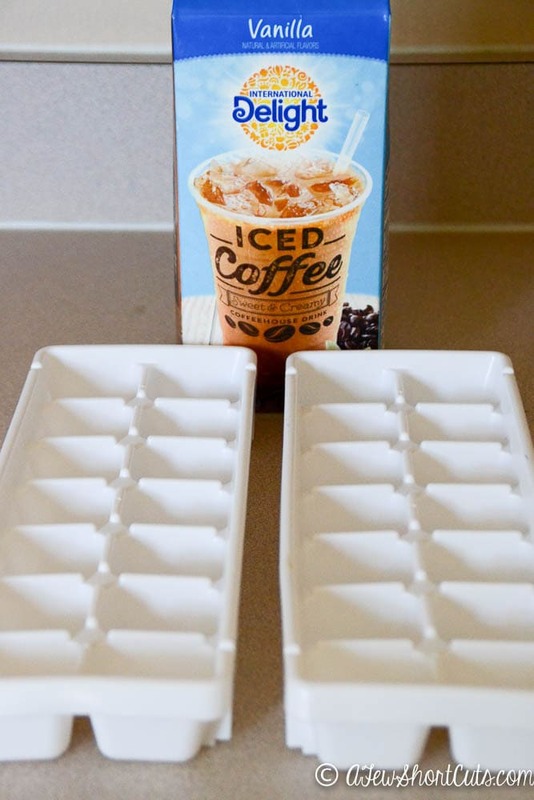 Fill an ice cube tray with 1 cup of the International Delight Vanilla Iced Coffee and freeze solid. This can be done ahead of time. 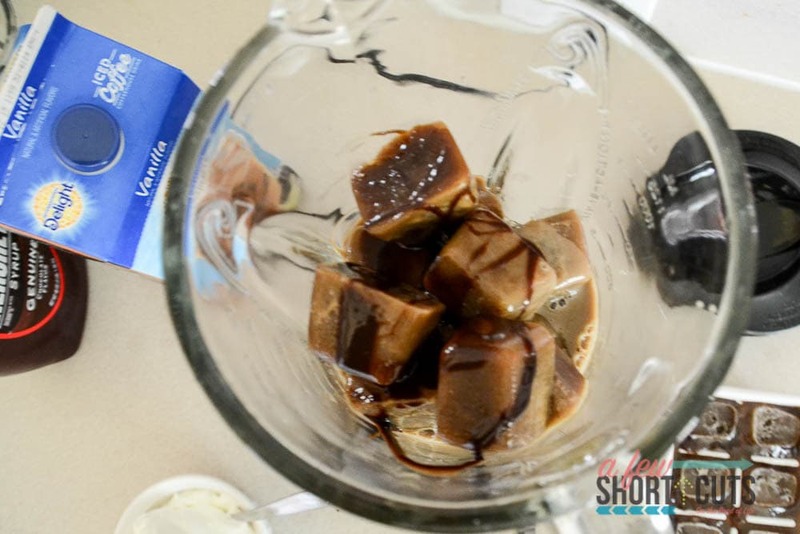 Place iced coffee iced cubes into blender. Pour in additional cup of International Delight Iced Coffee and a squirt of chocolate syrup. Blend until smooth. Top with whipped cream and a drizzle of chocolate syrup. 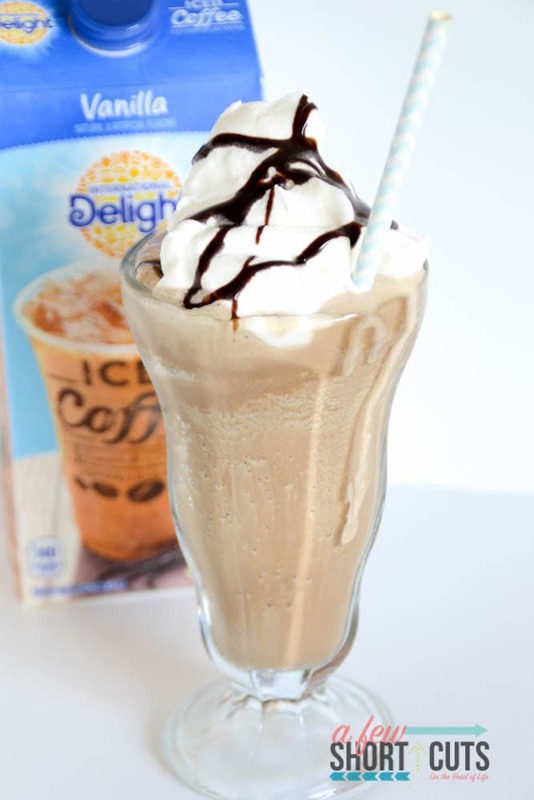 While you are enjoying your Homemade Mocha Frappuchino check out International Delight’s new website section, IDelight in 10. 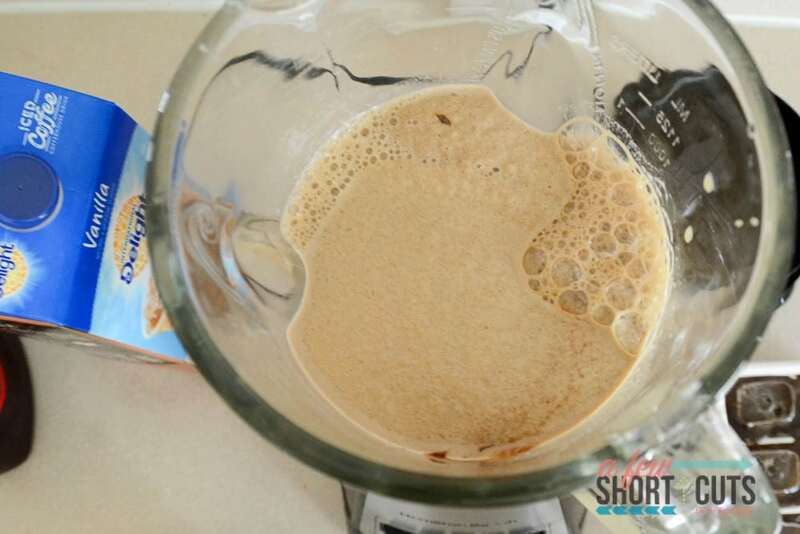 It is full of great recipes, coupons, videos, and more. A great way to spend 10 minutes relaxing and taking time for yourself.